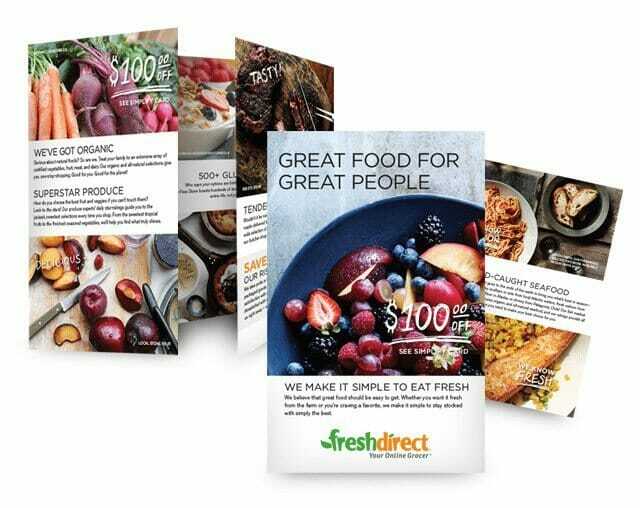 This direct mail campaign for FreshDirect was a 6×9 package that included a gate-fold brochure, letter, order card, flyer insert and an outer envelope with window. Ballantine handled the printing, mailing and creative. FreshDirect is grocery delivery service for fresh food from farms and artisans. You order their food online and it’s delivered to your doorstep. They are currently in multiple states and growing. FreshDirect uses a regular stream of direct mail to market their service. And they are constantly fine-tuning and testing new creative to keep things fresh. This 6×9 mailing was used to showcase their new food photography. 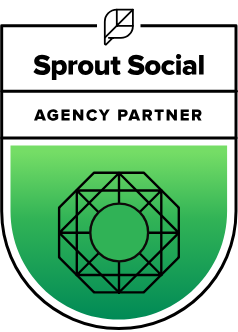 The goal was to convey how fresh their food is and of course acquire new customers with their discount offer.